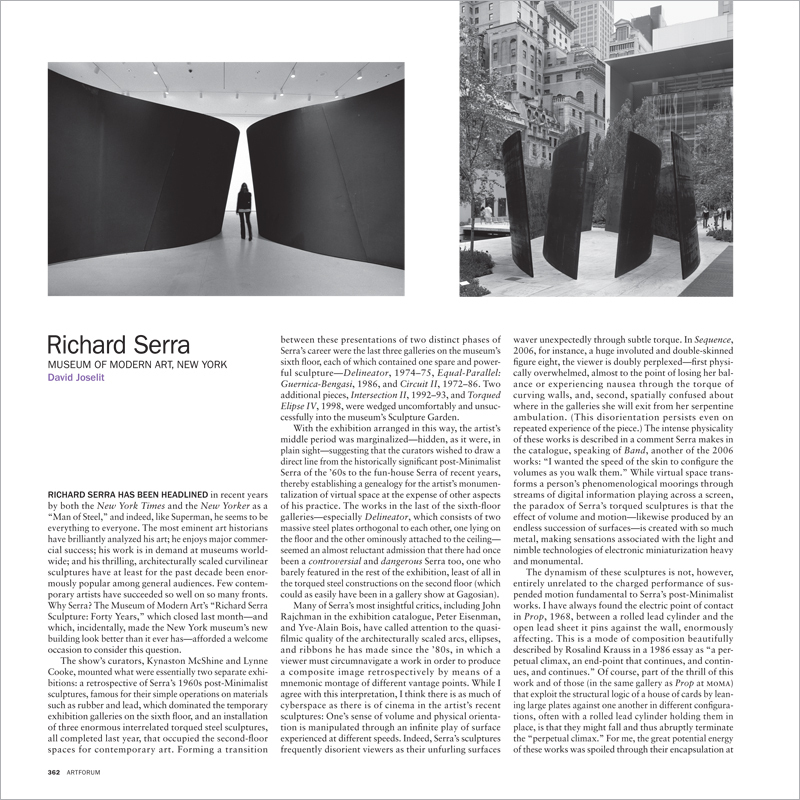 RICHARD SERRA HAS BEEN HEADLINED in recent years by both the New York Times and the New Yorker as a “Man of Steel,” and indeed, like Superman, he seems to be everything to everyone. The most eminent art historians have brilliantly analyzed his art; he enjoys major commercial success; his work is in demand at museums worldwide; and his thrilling, architecturally scaled curvilinear sculptures have at least for the past decade been enormously popular among general audiences. Few contemporary artists have succeeded so well on so many fronts. Why Serra? The Museum of Modern Art’s “Richard Serra Sculpture: Forty Years,” which closed last month—and which, incidentally, made the New York museum’s new building look better than it ever has—afforded a welcome occasion to consider this question.